The new season of America’s Got Talent has just begun and we already have its first star. Unfortunately we can’t tell you his name because he was pretty quiet throughout his audition. 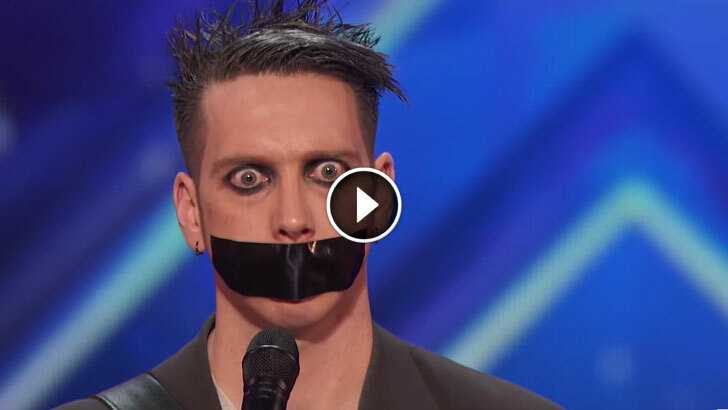 But even though he had his mouth taped shut that didn’t stop him from delivering one of the funniest auditions in years, no wonder the audience and the judges were literally laughing out loud. He became known only as Tapeface but even though he didn’t say much, you have to admit those were the most hilarious oven mitts you’ve ever seen.